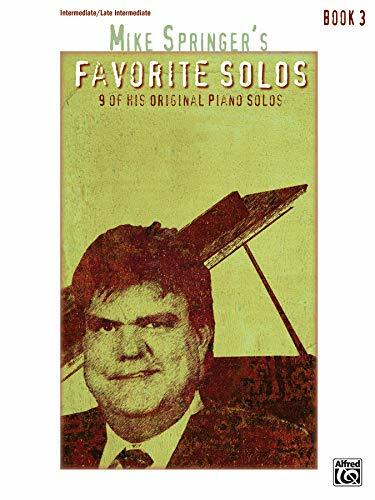 This collection contains Mike Springer's best-loved sheet music solos that have been published through the years. Students, teachers, and audiences will enjoy the variety of styles, sounds, and moods of this music. The book contains 9 intermediate to late intermediate pieces. Titles: Cinco de Mayo * Dazzling Lights * Iditarod Sled Race * Jazzin' Around Town * Jazzy Locomotive * Mariachi Serenade * Mighty Mount McKinley * Rio Grande * Sierra Madre. In business since 1974... specializing in piano instruction and classical piano literature. Address: New Market, VA, U.S.A.